This Act may be called the, Andhra Pradesh Prohibition of Ragging Act, 1997. It extends to the whole of the State of Andhra Pradesh. It shall be deemed to have come into force with effect from 4th July, 1997.
imprisonment for a term which may extend to ten years and with a fine which may extend to fifty thousand rupees. 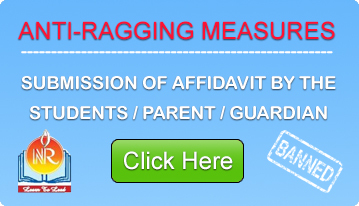 Without prejudice to the foregoing provisions, whenever any student complains of ragging to the Head or Manager of an educational institution, such Head or Manager shall inquire into or cause an inquiry to be made into the sameforthwith and if the complaint is primafacie found true, shall suspend the student or students complained against for such period as may be deemed necessary. The decision of the Head or Manager of the educational institution under sub- section (1) shall be final. If the Head or the Manager of an educational institution fails or neglects to take action in the manner specified in sub-section (1) of Section 6, such person shall be deemed to have abetted the offence and shall be punished with the punishment provided for the offence. 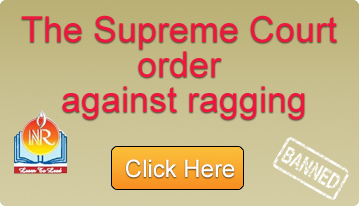 The Andhra Pradesh Prohibition of Ragging Ordinance, 1997 is hereby revealed.